Discussion in 'Jewelry Pieces' started by prince.of.preslav, Dec 7, 2010. I found this tiara somewhere & now can't remember where. No info on it except that it's early 19th century. It's unusual in the yellow gold ornamentation. Can't decide whether I like it or not. It looks a little overdone when seen alone like this, but on the right head with good tiara hair, it might be fairly stunning. Wow. I had no idea this thread was here until I searched for tiaras! I can tell I have a pleasant hour or two ahead of me, perusing previous contributions. I desperately want to make a convertible tiara. But figuring out how the frameworks connected to the necklaces is killing me. Does anybody happen to have any good resources/shots/images/diagrams they could point me towards? All I have found, so far, are references that they are screwed onto the frames. I imagine that, depending on how the hinges for the articulated necklace were designed, it would require quite a few screws and some ingenuity so that the holes are hidden when the piece is worn as a necklace. I think the best solution is to go to an excellent antique jewelry store and ask to look at a couple (which is probably all they have). I don't think auction houses will allow you to have such a close look at them, but perhaps you may be able to talk to one of their experts. Then share all you learn, because I have tried both around here and neither had tiaras (and I was looked at very funny when I asked). By the way, this is a cute tiara/bracelet with an ingenious mechanism. And, to finish off, anyone want a tiara with a 101ct diamond focal point? 1st way - frame consists of base with upright bars/prongs that have small screws. There must be tiny holes in the metalwork of the necklace (not visible from the front, going only half-way into the metal) and this is where the screws get in/are driven when the jewel is worn as tiara. Additionally, usually there is a flat metal "surface" (I'm sorry, I really don't know how to name this thing) on which the necklace "sits". Rarely there are claws/prongs that go between the stones. If the elements of necklace are hung from a chain of stones/riviere, then this"surface" is smooth and goes all the way to the back. However, if it's a scroll necklace with links hooked to one another, then the "surface" takes the form of the scrolls/elements. Good examples would be the Poltimore tiara and the Queen Silvia's own diamond tiara. 5th way - a tiara frame that follows the lines of the necklace - this one's quite gracefull and goes well with more delicate jewels, like the Connaught tiara. Screws are used here, as well. Looking at photos from the large auction houses can help with seeing the various ways of converting a necklace into a tiara. I use Christie's, as one can see the photos in HQ by zooming. Not always the technique is visible, but still. Something important I forgot to add is that a piece can combine more than one way of converting - loops at the bottom and screws on top, clips for the back chain (when used as part of the tiara), etc. I hope my replies have been informative and not so easy to understand (315 AM here and it's been a long day!). Keep your fingers crossed...I will find out in the next couple of weeks if I won another teaching award. You know what I do when something cool like that happens! "HM Queen of Chemistry, Tsarina of Teaching, Princess of Puke, and Madam Mad Scientist"
Well...that's because you never clicked on the link with which I provided you in the thread about tiaras you started in Hangout! Way back then I told you about this thread and about Lady Maria, who makes her own tiaras! Good luck, LadyMaria! I think you are due for a new tiara! 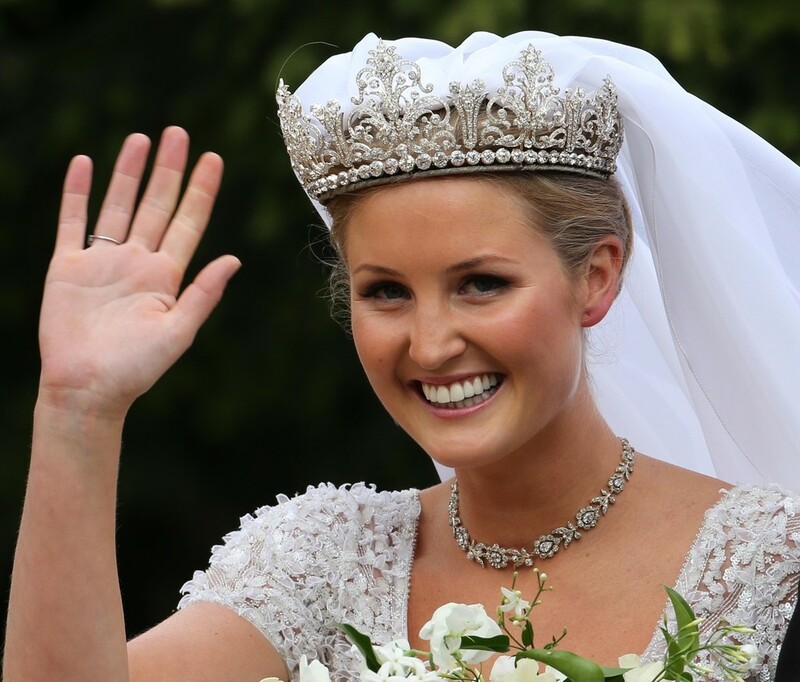 It kind of reminded me of the Modern Fringe Tiara from the Swedish royal family. Princess Madeline wears it a lot. Congratulations on winning the award, LadyMaria. I really, really, really love your latest tiara! It has a great deal of regality to it. Presence. Perhaps because of its height, but also because of its very finished appearance. I love all your tiaras, but this one competes with those of the crowned heads of Europe. Wear it in good health! Thanks Deb! I'm glad you like it! I love it...wore it while housecleaning yesterday! One thing the picture doesn't do justice to is that the stone in the middle of each diamond shape dangles. There is a lot of sparkle when it moves! One of the groom's other sisters Tatjana d'Abo wore a very lovely pearl and diamond tiara. I think it might be Cartier, since there are some late Belle Epoque tiaras by the firm with a similar shape, but I'm not sure. Any information about the D'Abo family? Bobby, I looked up the d'Abos, was curious too. They're English, no nobility, etc., and seem to have a few performers in the family, starting with Mike, who was in the 60s group Manfred Mann. A couple of others are actresses -- cousins. That's all I could find. I love that Greek Key tiara too, & she's wearing it well; I like it kind of back on her head the way she has it. Well, now I have read so much about the Percy family tiaras that my head is stuffed with information! I shall forget it all by tomorrow morning, unfortunately. At the moment I am glad to have it. I read about this gorgeous tiara having been of secondary importance to another one the Percy Family owned, the strawberry leaf coronet, which was worn by the then Dowager Duchess of Northumberland to the coronation of Queen Elizabeth II in 1953. However, it was stolen in 1963 and the family no longer has it. I saw a picture of the Duchess of Northumberland (Lady Melissa's and Lady Katie's grandmother) who also attended Queen Elizabeth's coronation (see photo below). She was not dressed for the coronation in the photo, but she was wearing this tiara, which she wore to the coronation since her mother-in-law was wearing the coveted strawberry leaf coronet at the time! Such stuff of fairy tales! The photo on the left is, in fact, a photo of Her Grace at the Coronation in the Abbey The photo on the left (with the pealrs) was taken at one of the events around the Coronation. Thank you, as always, for the information about the photo (on the left) and also for the photos of the strawberry leaf coronet, Bobby. I see that it is an "important" piece, but it looks "unwieldy" for want of a better word, to me. Lacking in grace (no pun intended). I know that it had historic significance, however. I am sad that it is lost. 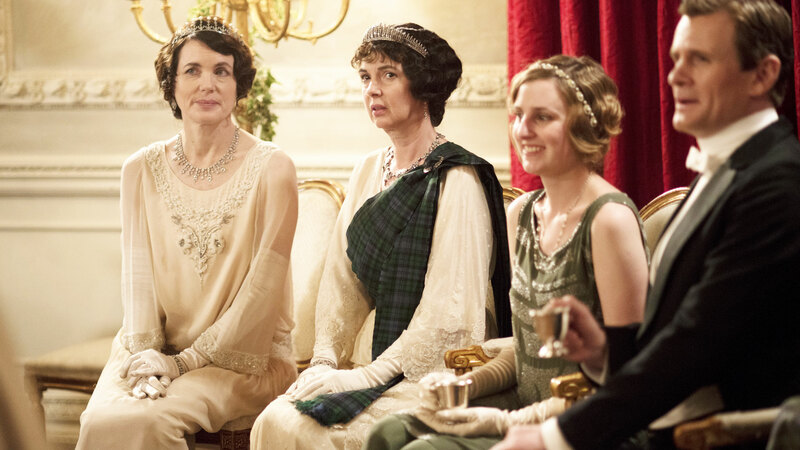 NB - Don't read in case you've still not seen Downton Abbey's 3rd Season and Chrismas Special! Can be considered a spoiler! There are a number of pearl tiaras on show as part of Pearls exhibition at UK's Victoria and Albert Museum, including the Rosebery and the Raine Spencer tiaras. I love tiaras! They are just so gorgeous and stunning! Vesper posted these photos of The Winchester Tiara in the Royal Jewels Thread. I am hoping that she will join this thread to discuss the photos. I noticed that there is at least one photo of a tiara given to a Duchess of Winchester on her wedding day (one with colored stones) in this thread already. I would like to go back and learn more about the Winchester jewels. I believe that The Duke of Winchester may have been the wealthiest man in Great Britain at one point! Bobby posted this information earlier in this thread over six years ago in response to a request from another poster who was looking for a picture of The Westminster Tiara. "The first Marquess of Westminster bought the Arcots for £10,000 as part of a birthday present for his wife. The famous halo Westminster tiara...... The large round center diamond was thought to be the Hastings Diamond. The Arcots are on either side. The Arcots and the other diamonds remained in the possession of the Grosvenor family for many years. In 1930 the Parisian jeweler Lacloche mounted the Arcots in the Westminster Tiara, a bandeau style piece, together with the round brilliant and no less than 1421 smaller smaller diamonds. The tiara was pieced to form a design of pavè-set scrolls with arcading, and with clusters of marquise-shaped diamonds between the sections, tapering slightly at the sides, with baguette diamond banding framing the large center stone and with diamond baguettes dispersed singly throughout the tiara. In June of 1959 the third Duke of Westminster sold the Westminster Tiara to help meet the cost of heavy death-duties. 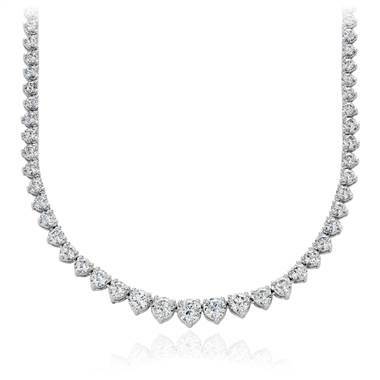 Harry Winston paid £110,000 for it at auction - then a world record price for a piece of jewelry. Mr. Winston had the two Arcots recut in order to obtain greater clarity and brilliance, the larger to 30.99 metric carats and the smaller to 18.85 metric carats." 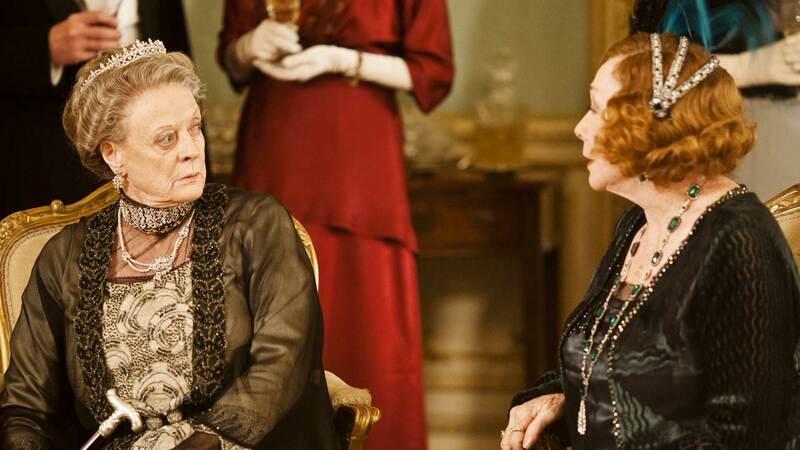 I have only recently delved into the world of Downton Abbey. It's one of those series that I always knew I would love, I just never got around to buying the DVD set. Well, I finally did under the condition that I could only watch them while on the treadmill. I thoroughly enjoyed the tiaras that were in the show. I was a little surprised that Lady Edith didn't wear the Ears of Wheat Downton tiara for her wedding at the end of season 6. I can't quite tell if A) it had too many bad memories from when Anthony Strallen ran away or if B) that tiara wasn't en vogue for the time period at the end of series 6. I liked the one she wore, I just would have rather seen it worn higher on the head (I've never been a big fan of wearing tiara's bandeau style).